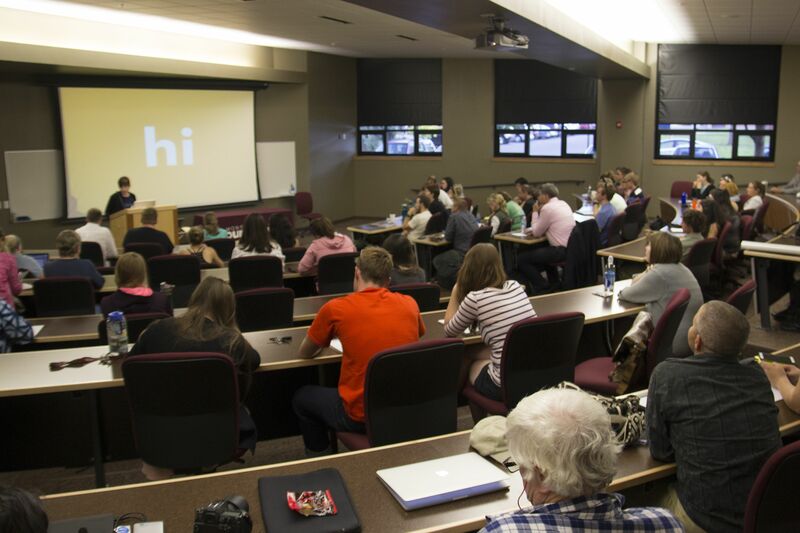 Journalism school students and others received a crash course in how to run a photography business, when Judy Herrmann, past president of the trade association American Society of Media Photographers (ASMP), spoke to a large crowd Wednesday evening. 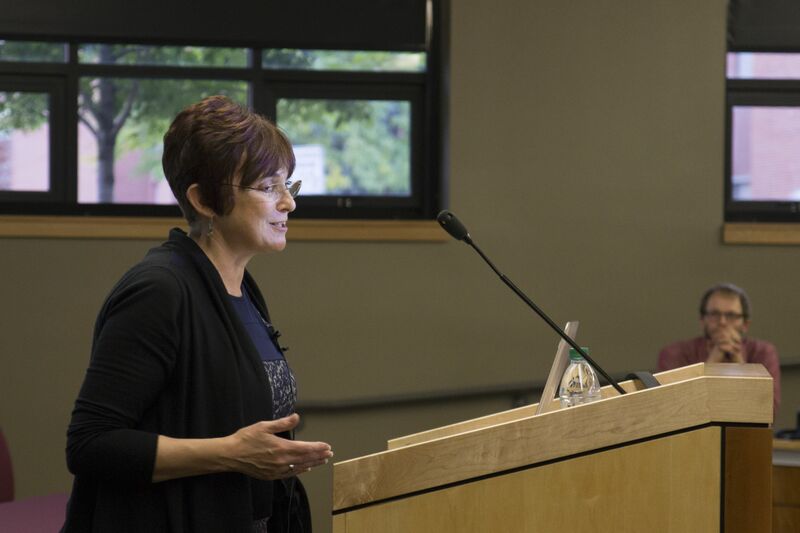 Judy Herrmann spoke to budding photojournalists and told them how to make it in the business. Photo by Katy Spence. Although with a show of hands the vast majority of the audience identified themselves as aspiring photojournalists, that didn’t stop Herrmann from starting her talk with a dose of industry reality. “As much as all of you that raised your hand for photojournalism are thinking ‘I’m getting a staff job,’ you’re probably not,” she said. Given the changing nature of the business, with staff jobs disappearing but opportunities for self employment increasing, Herrmann said it’s likely most people in the audience will at some point start their own photography business. She then proceeded to give a highly practical, nuts and bolts seminar on how to do so. Herrmann, who has won numerous awards for her own business, Herrmann + Starke, brought years of experience to the topic. She is aware of the hidden pitfalls that await freelancers starting out; bad contracts, unforeseen disasters like equipment theft (for which she recommends a careful choice in insurance), and losing control and copyright of your own work. At the core of her message was the importance of being a professional. By conveying professionalism at the beginning of a client relationship a freelancer ensures they’ll receive professionalism, and a fair deal, in return, Herrmann said.